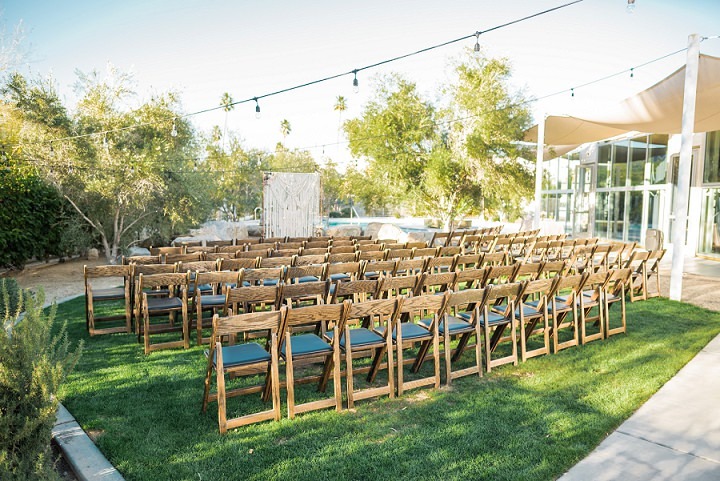 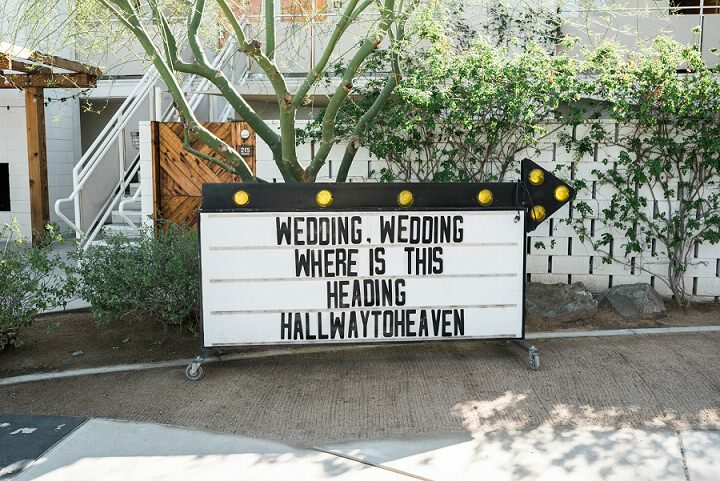 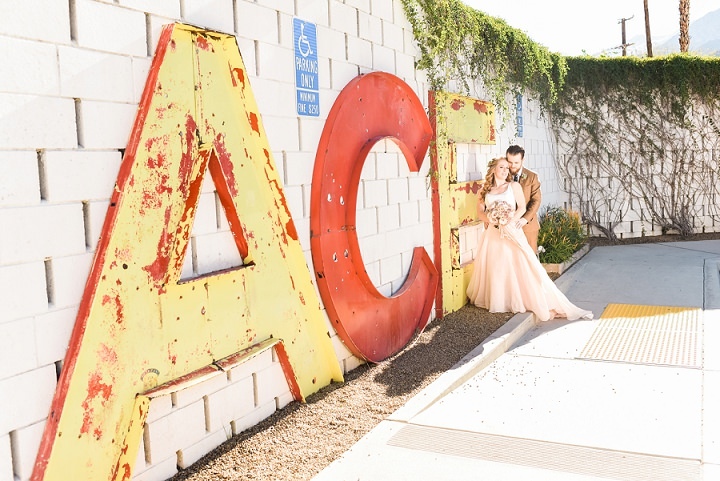 I have a super stylish wedding for you today, from one of my favourite wedding venues, Ace Hotel & Swim Club in California. 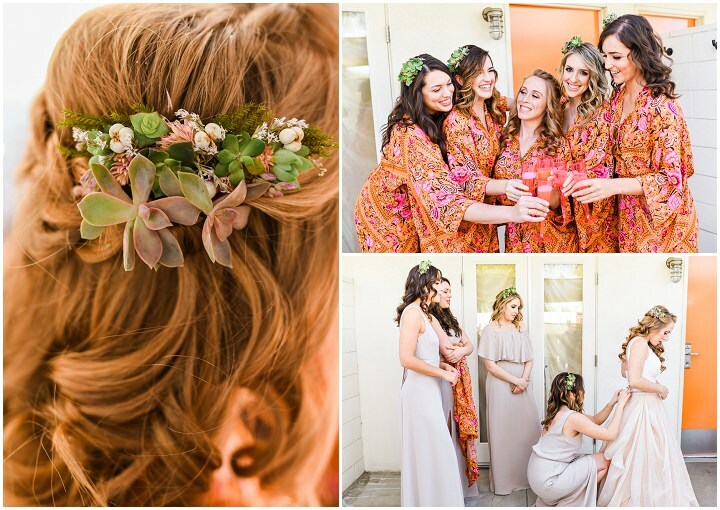 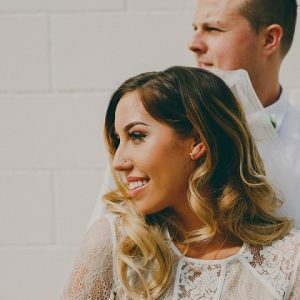 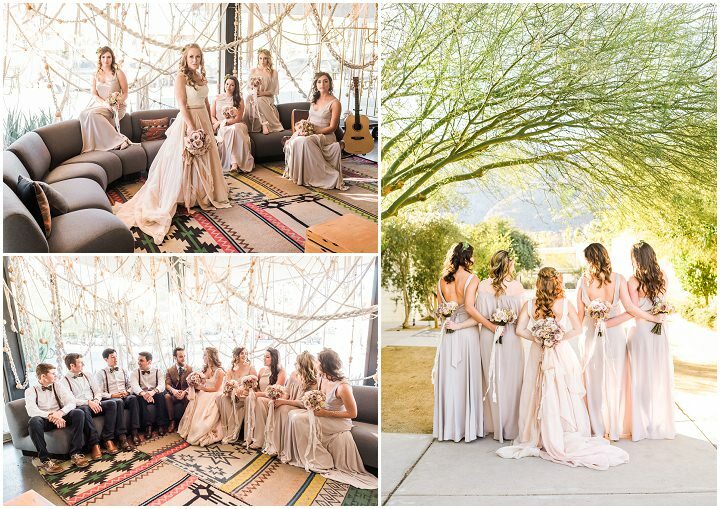 Natalie and Garrett were married on the 29th January 2017 and they really made the venue their own, with their own take on Boho Chic. 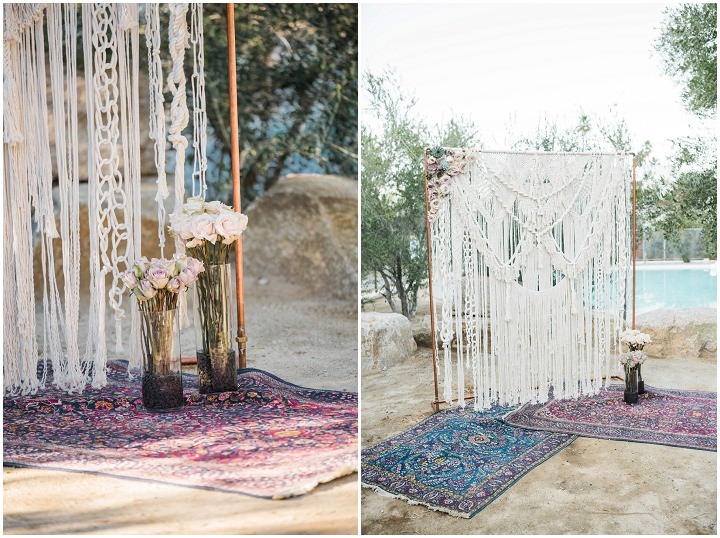 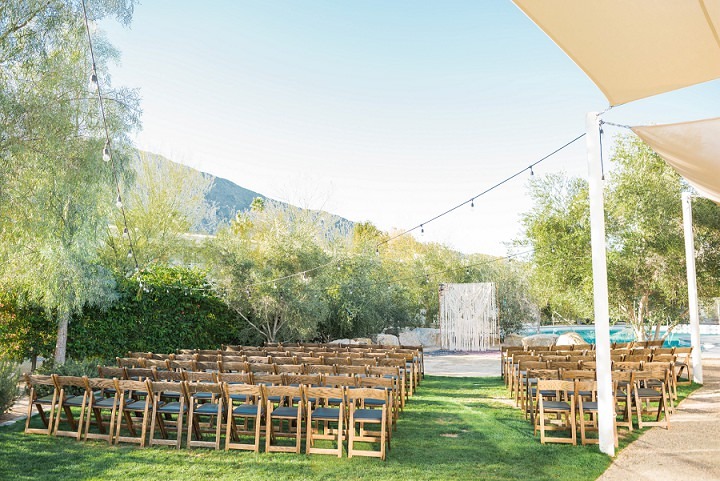 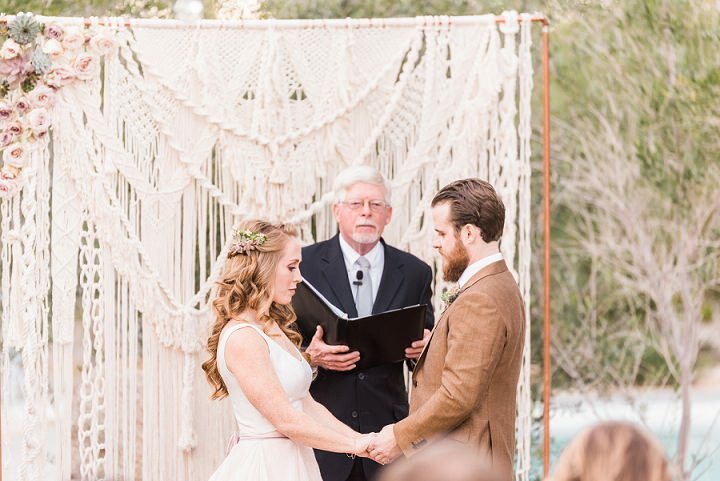 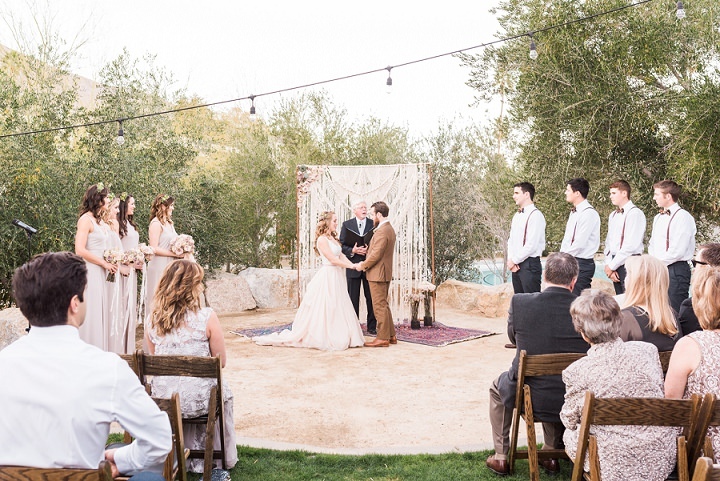 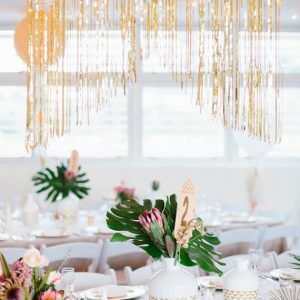 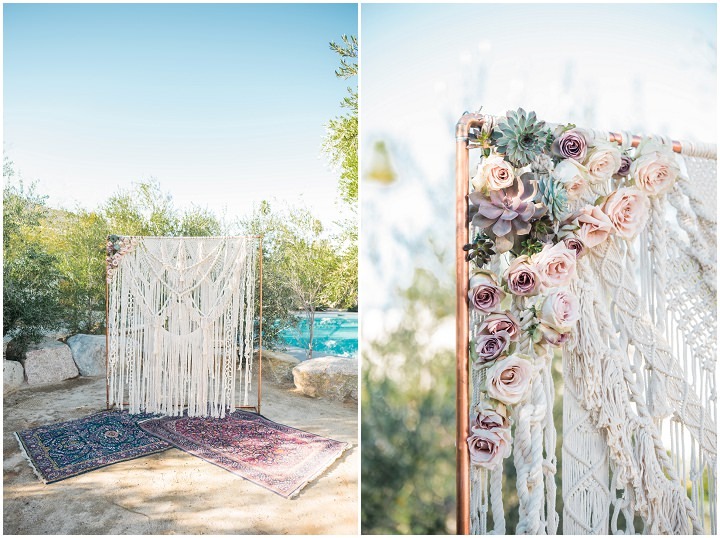 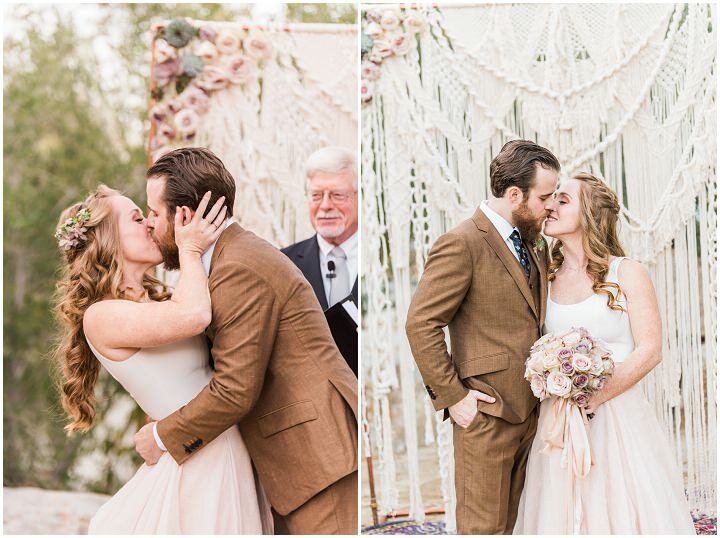 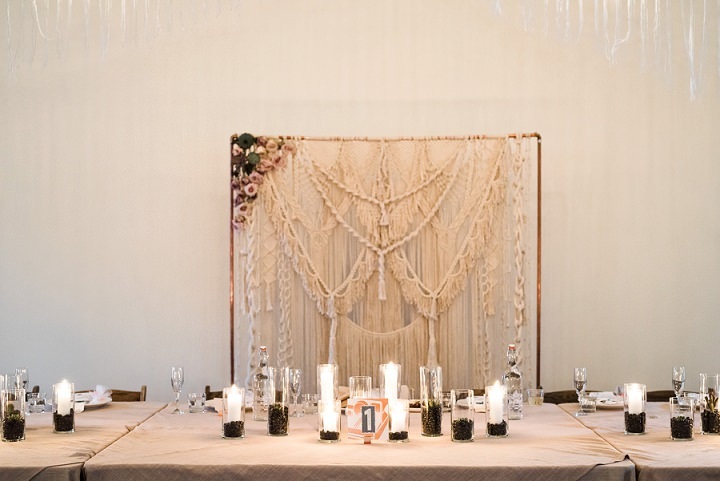 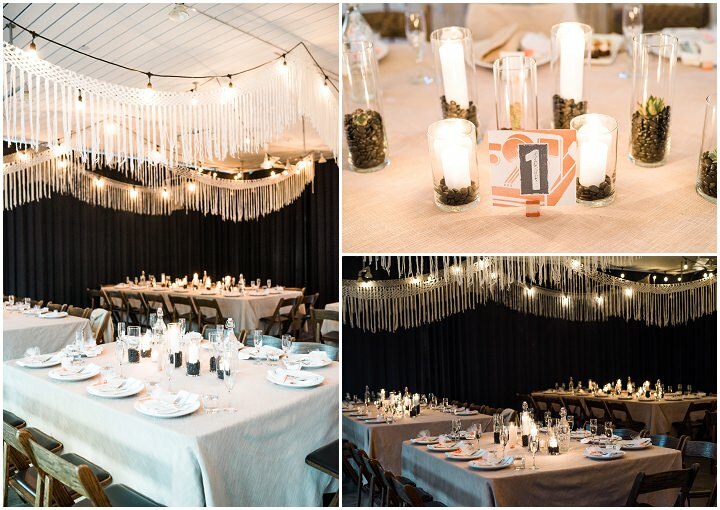 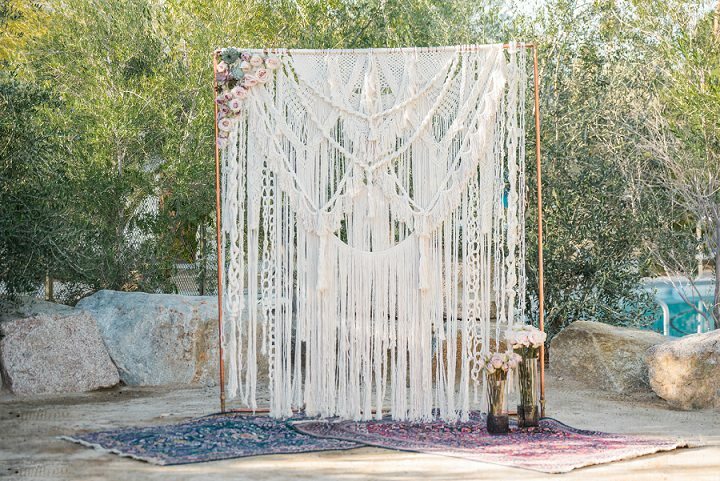 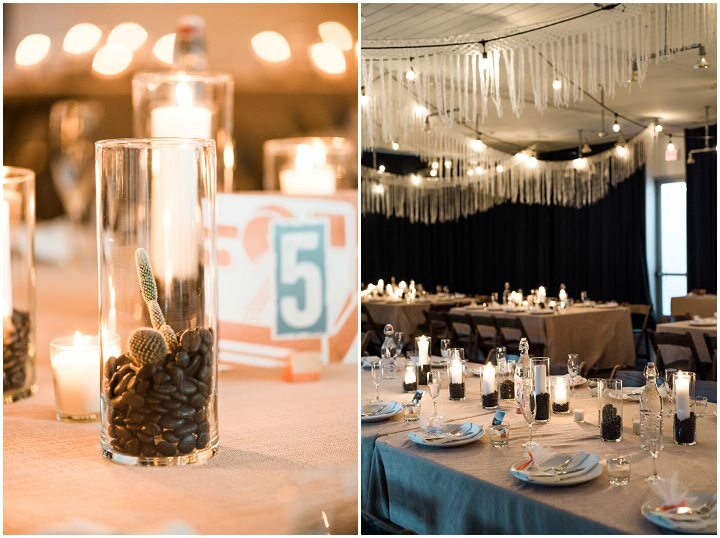 Natalie went about creating a huge array of macrame decor, from the amazing ceremony backdrop, to the macrame bunting, it all looks amaazing! 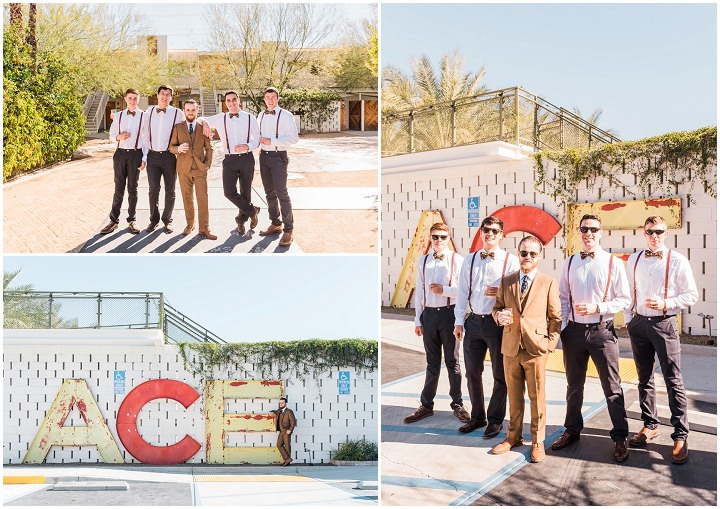 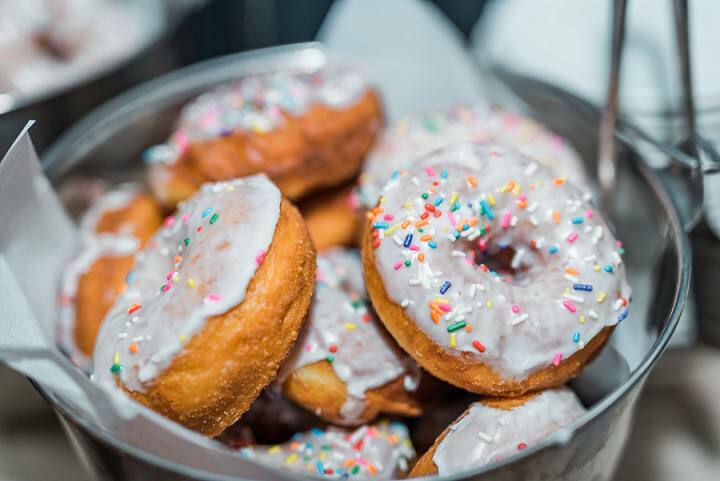 The palm springs sunshine brings another beautiful element to the day, that we can only dream about here in the UK. 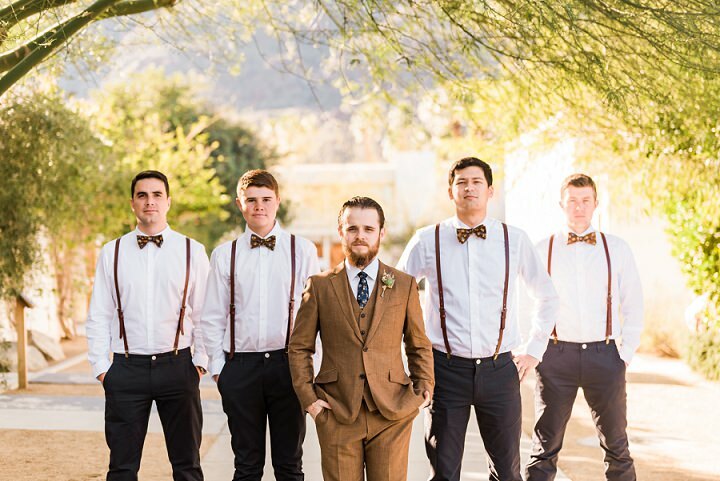 Big thanks to Randy + Ashley Studios for the amazing images. 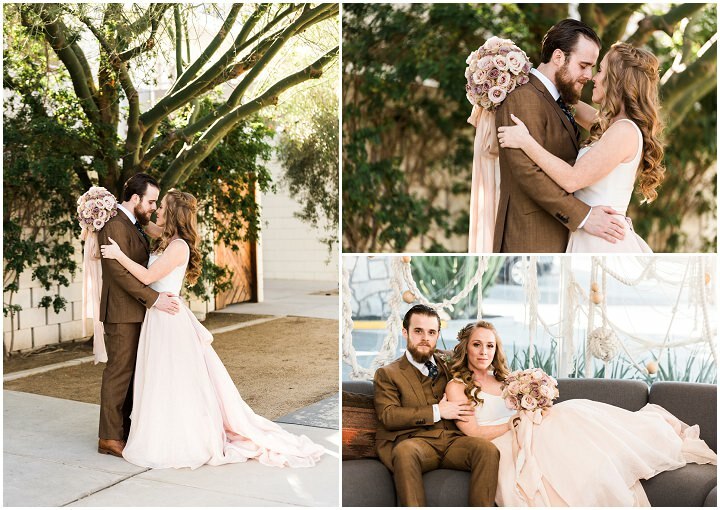 Their wedding was incredible, everything we hoped it would be and so much more. 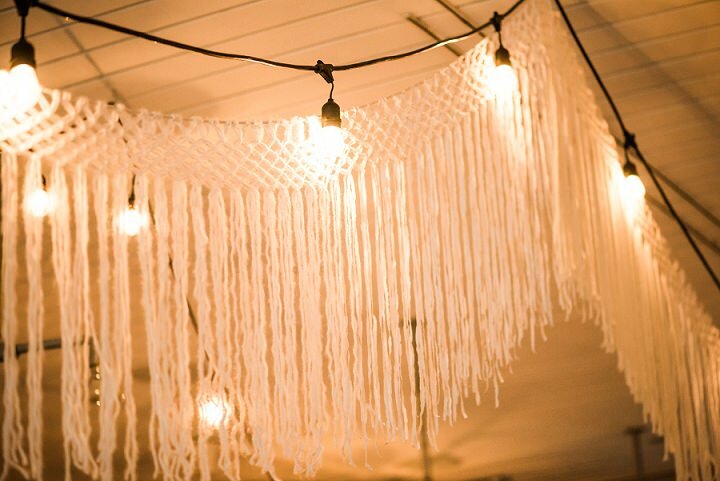 What was even more impressive was that Natalie handmade all of the macramé – all of it hanging from the roof of the Ace’s ballroom, plus the amazing ceremony backdrop! 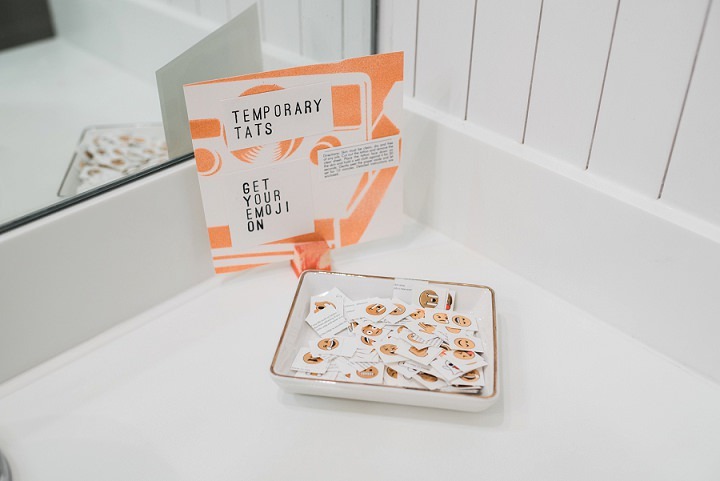 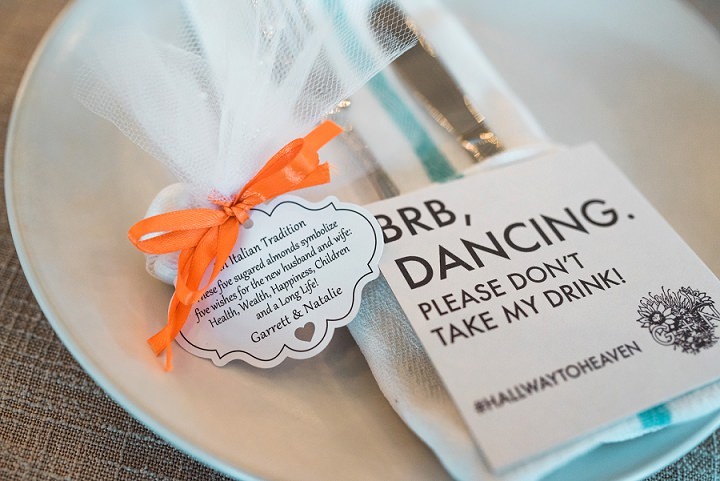 The personalized goodie bags that were stationed at the front of their reception were a fantastic personalized touch. 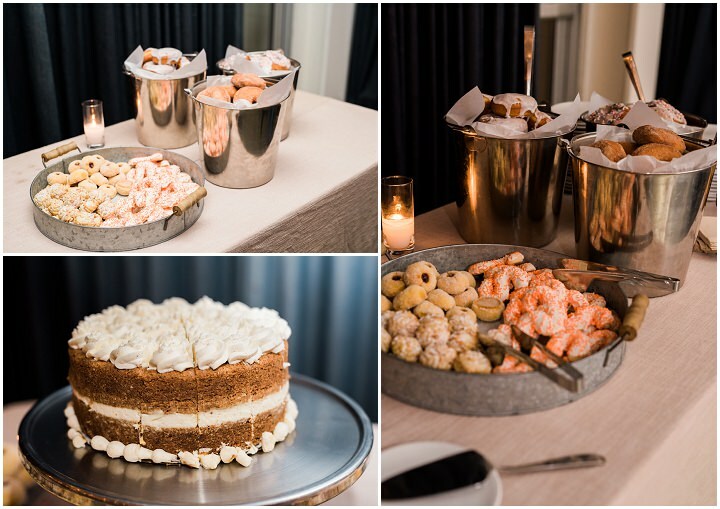 They were filled with baked goodies and a small bottle of Bailey’s; the cookies that Natalie’s mom made were super tasty!! 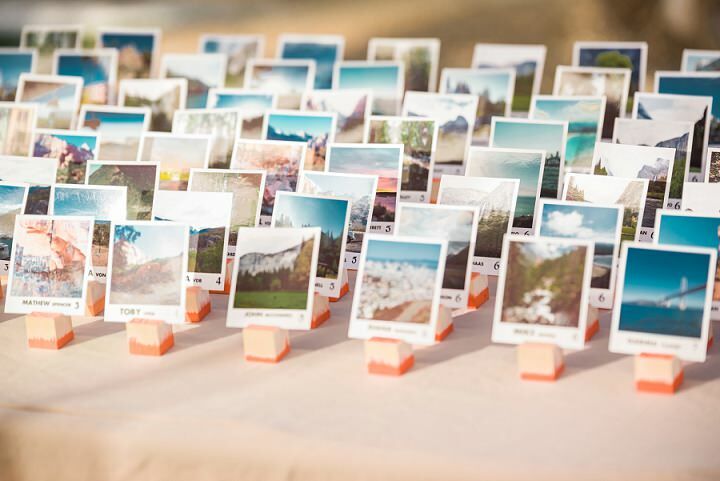 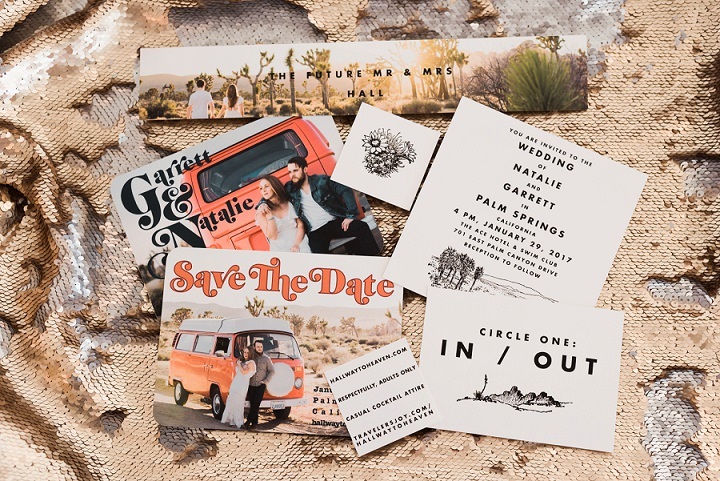 Everyone absolutely loved the guest seating cards made from photos of their favorite adventures together, too!! 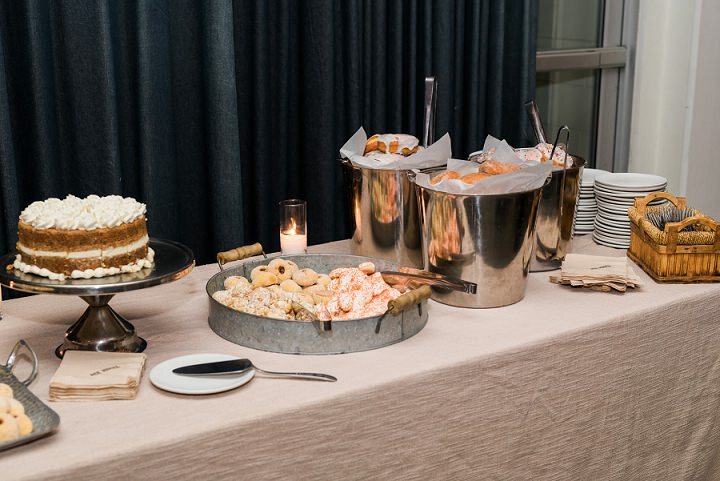 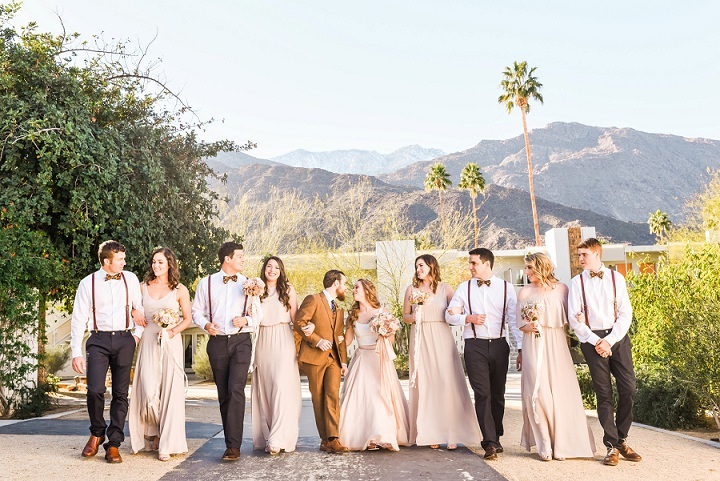 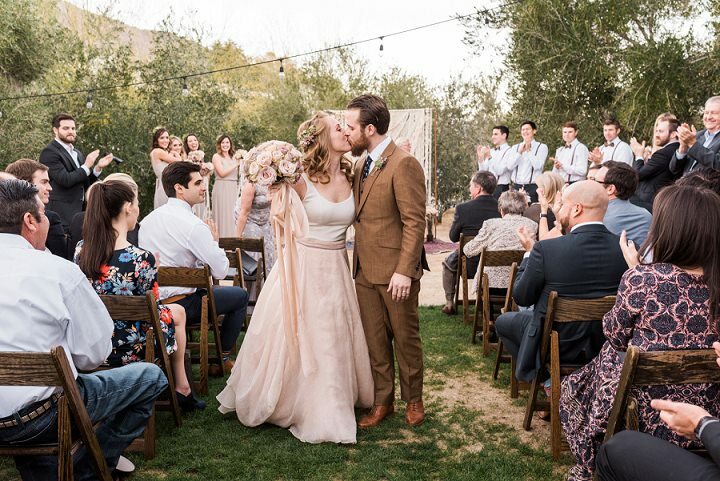 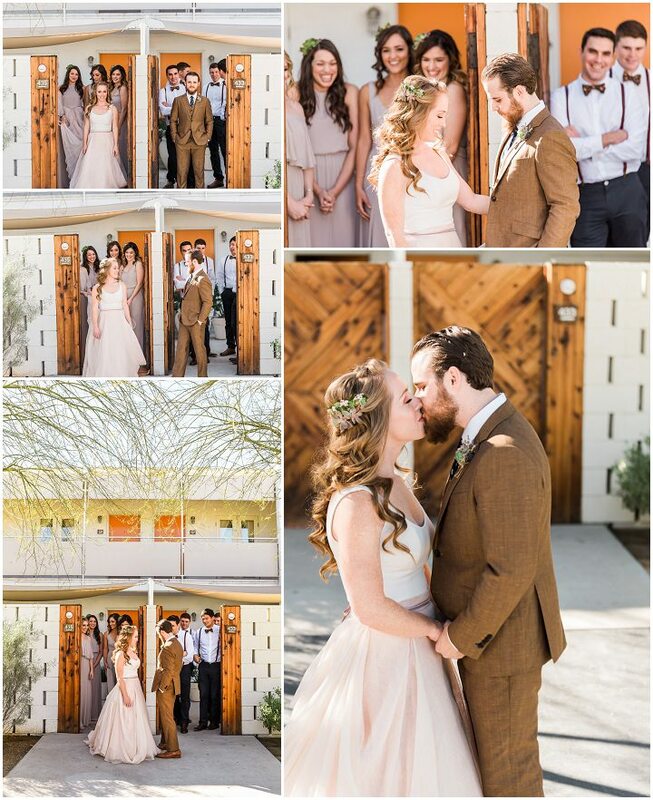 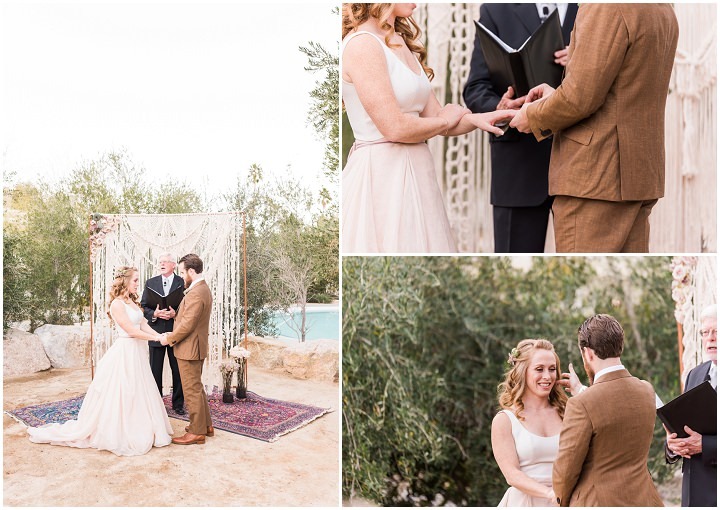 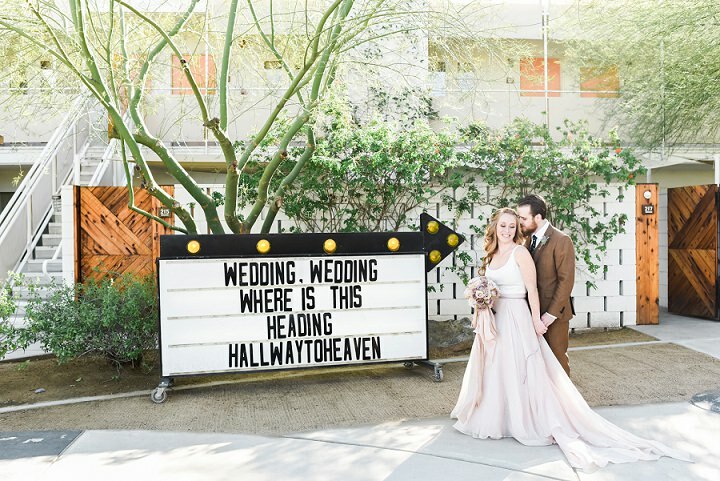 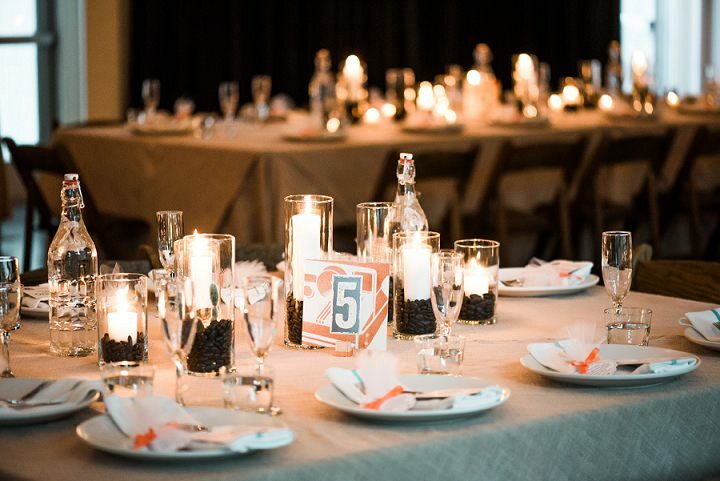 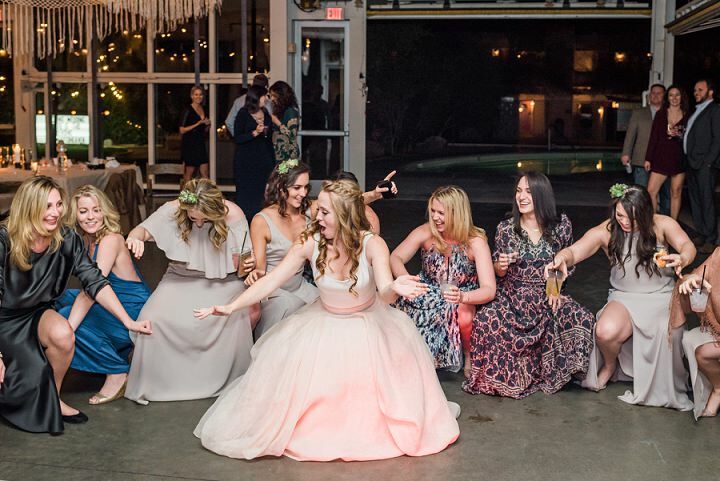 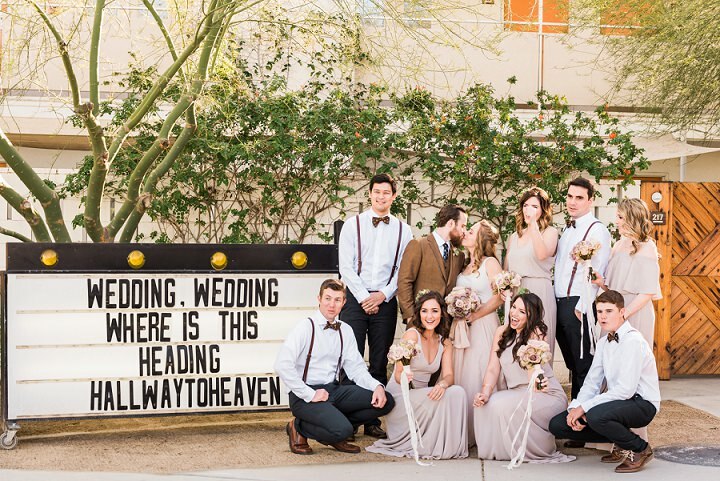 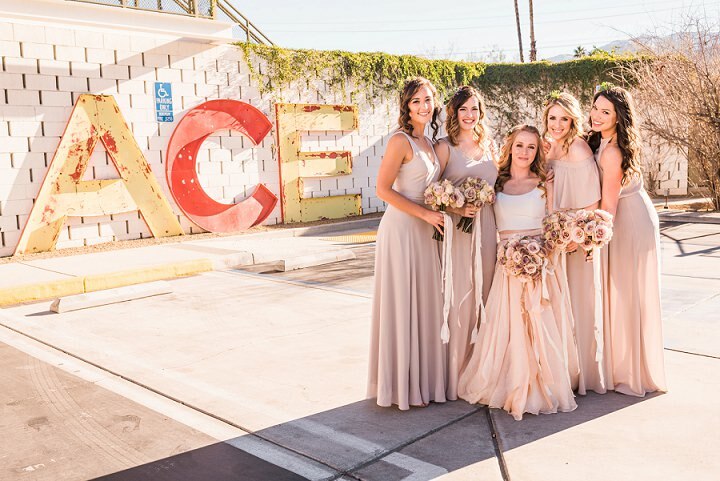 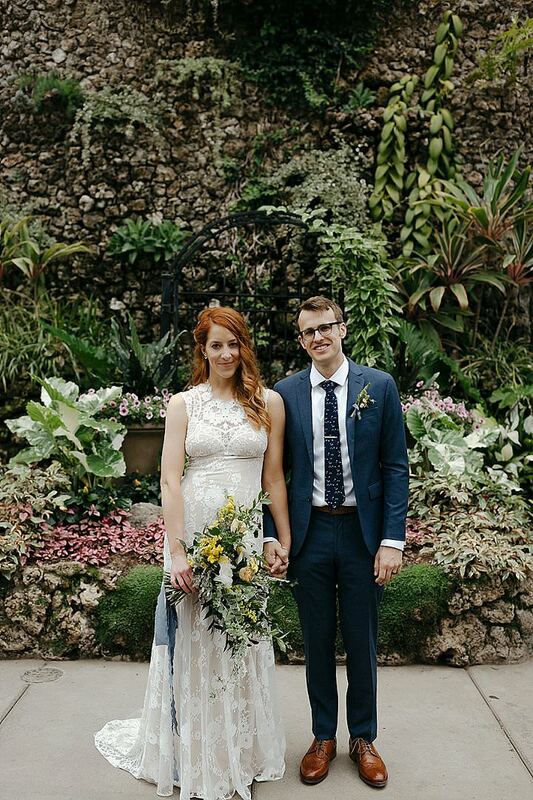 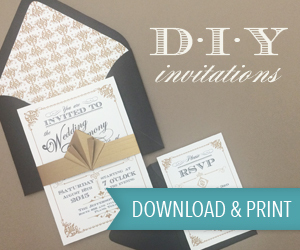 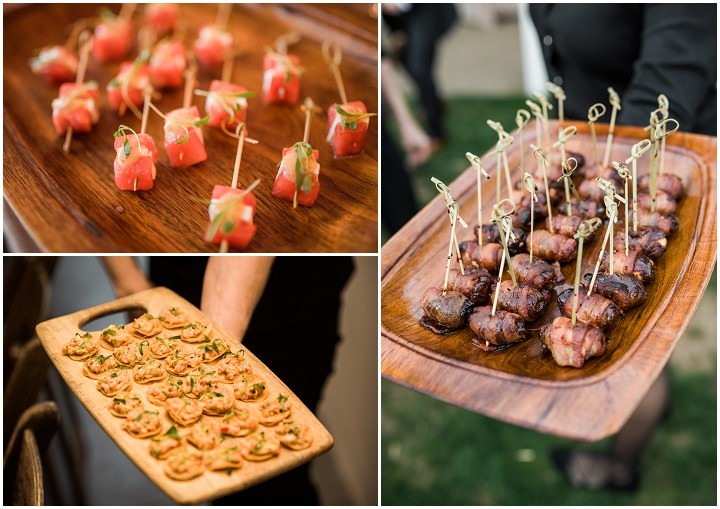 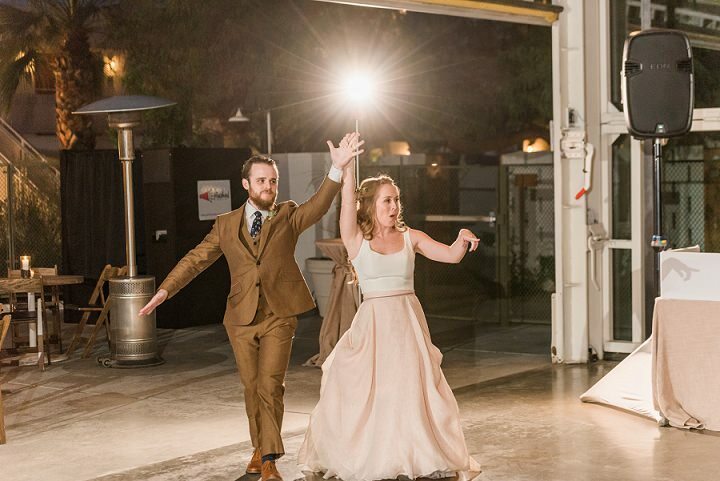 We are so thrilled for our friends, Natalie and Garrett – their wedding was beautiful!